an Ocean Front Building in North Pacific Beach. Newly remodeled and nicely furnished. The Fireplace creates the perfect cozy atmosphere. also available. Condo accommodates 4-6 people. One Parking Space in the Security Garage is provided with the unit. 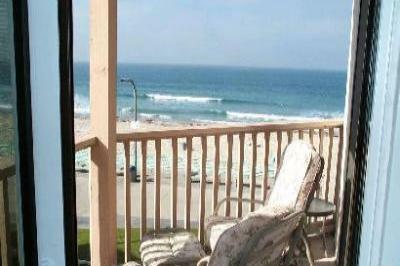 view where you can sit and enjoy the waves, beach, and sunset! See the Sea Luxury Condos. Onsite 24/7 Property Management. 3 Minutes to La Jolla. 10 Minutes to Sea World. 45 Minutes to Temecula Wine Country. 20 Minutes to the San Diego Zoo. 15 Minutes from the Airport.